Clearing space can be a very easy thing to do. A little white light, a little angel energy, a bit of sage or perhaps some high frequency sounds like Tibetan bells or whale music. Actually there are a plethora of space clearing techniques that usually work, but what do you do when some persistent low frequency energies come in and refuse to leave? Well here’s what happened to me this weekend. With this in mind, I have noticed that many people speak in an absolutely vile tone of disdain. Almost as if everything in their life is terrible or boring, even if the words they use, say it isn’t. In this society, media is quite important for the adolescent. Being part of the “In” crowd, knowing trends, and who’s who in the celebrity circuit can definitely impact peer relationships. Now that the New Year is upon us, it is time to focus on having our dreams come true. Today is 1-1-11. It is a very powerful day of manifesting all that you put your attention on. And with the upcoming lunar eclipse on 1-4-11, this energy is even more commanding. So I ask that you spend 15 minutes in quiet meditation each day for the next 4 days focusing and heart-centering yourself on all that you hope to manifest this year. Very intuitive Indigos can channel information regardless of time or space. This is information given to Diandra directly from Native American collective from the era of the Pilgrims settling here in this country. Hope you enjoy the real story. So how do heavy metals affect our young sensitive children? Usually through a diagnosis that says your child is not "normal". 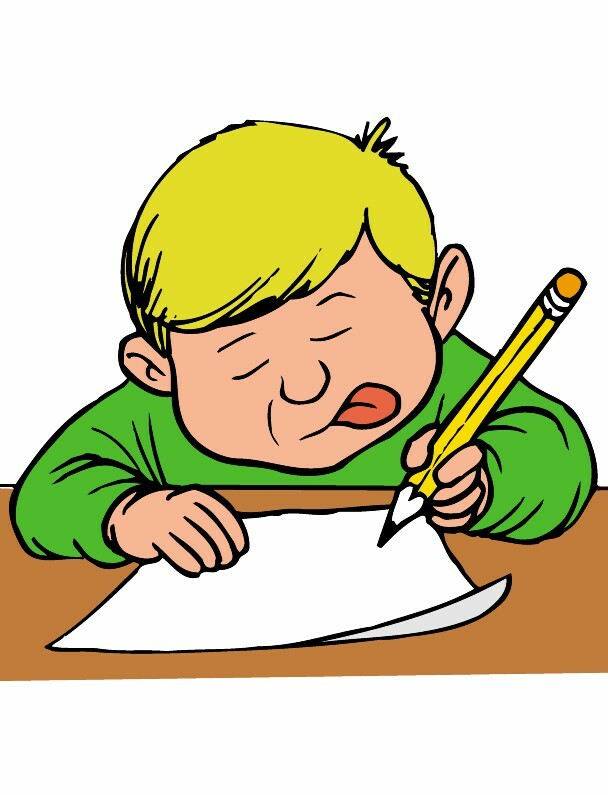 Diagnoses such as Autism, Asperger’s, ADD, ADHD, Learning disabled, Depression, Bipolar disorder, PDD-NOS, Anxiety and Tremors are the most common. 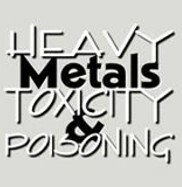 Heavy metal toxicity in today’s society is rampant. As a practicing dentist for 30 years, and as a holistic educator, I can honestly say that heavy metals are probably the number one contributor to chronic neurological health diseases on the physical and mental planes. This includes but is not limited to Autism, Alzheimers, Parkinsons and Multiple Sclerosis. Indigos are known to have emotional sensitivities. And they are notorious for being able to “read” people and their true nature. So even if you think nothing of the conversation you may have had with an Indigo, be assured that the Indigo is seeing the conversation on a whole other level. My first conversation as an animal communicator was with our male Red-Eared-Slider. His name is Theodore-The-Turtle or T Cubed. We rescued (bought) him in Chinatown on September 11, 2005. He was our 9-11 miracle and our proclamation of moving forward amidst the 9-11 somber memorial that was ongoing in NYC. As a first time dog owner, and as a former scaredy-cat of dogs, you could say that co-habitating with a dog is a "big deal". When Celeste first came into my life, I did not fully appreciate how extraordinary she was. At that time, I was just getting used to her barking and getting her potty trained. When I actually started to talk to her telepathically, I learned that she had great secrets and insights to share about life. 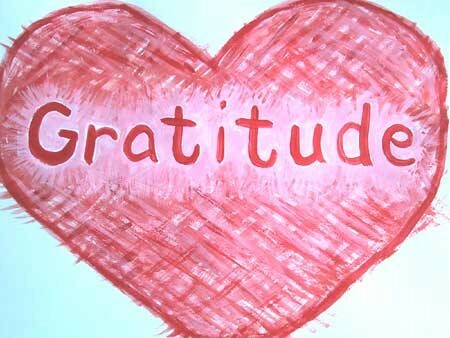 An easy way to stay present is to list all the current things you are grateful for. My mom and I are in Portland, Oregon this week. It’s a big difference from NYC. The trees are everywhere and the grass feels like the most luxurious shag carpeting. It’s been a beautiful week with beautiful weather. They say that “music soothes the savage beast”, and since Indigos can have a wild side, it is important that they get a daily dose of melodic rhythm that soothes. Music therapy is a new field of healing science that has been shown to affect the physical, mental and emotional levels of most who hear it. This music or sound therapy should be grounding, uplifting, and possibly include sounds of nature. Everyone knows that pets can have a positive effect on your health. Studies show that they help us fight depression, lower our blood pressure, reduce stress and prevent heart disease. Pets do this by showing us unconditional love. Wow. What a concept. 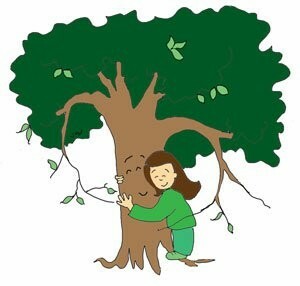 Yes, hug a tree! Try it for 15 minutes straight and see if you don't feel like a new person. Don't have a tree in your backyard? 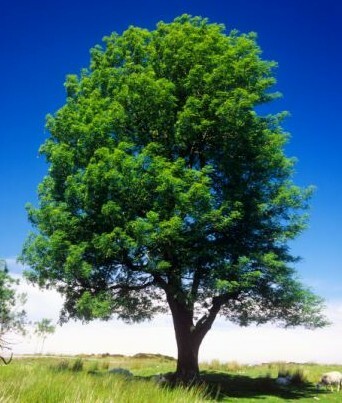 Then just lay on the grass and rub your bare feet and hands into the earth. Aromatherapy essential oils are scents used for physical and emotional health. Each essential oil has unique therapeutic properties and benefits. Since Indigos are so energetically sensitive, these oils can be extremely beneficial. It is important to familiarize yourself with many different types to see what works best for you. Nature is so important in our lives, yet most of us take it for granted. As a sensitive person, you need to unload energetic toxins. These are the toxins picked up from EMF waves- cell phones, computers, microwaves,TVs and just about all electrical appliances. They can also be picked up by being in the presence of low frequency people and environments. The vibrational energy of anger, fear, and hate are set low. These vibrations harbor and attract more of the same vibration. They lead to blame and depression. As highly sensitive beings, living a life with these negative frequencies will take a toll on our mental, physical, emotional and spiritual fields.